We often get asked about what glass is best for cutting down road noise or thermal efficiency. We can install triple glazing in virtually all of our new window systems. 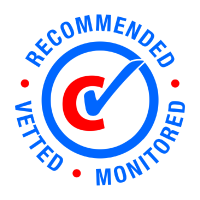 While there is no denying triple glazing performs exceptionally well for thermal efficiency you’d be surprised to know that our standard 28mm units which in combination with the window frame give an A rating that performs almost as well! The different systems we use offer slightly different U values (more information can be provided on request dependant on which system is of interest) but the difference between double and triple glazing is usually no more than about 10% efficiency. For cutting out road noise acoustic laminate double glazing actually outperforms triple glazing! This is due to the 2 layers of glass being different thicknesses. This means as sounds waves pass through the glass the different panes vibrate at different speeds dampening the sound waves. Triple glazings equal thickness panes does not dampen sound in the same way, but it is still effective. Let us know what your specific requirements are and we will see what suits your needs and preferred budget to get the best match for your home.